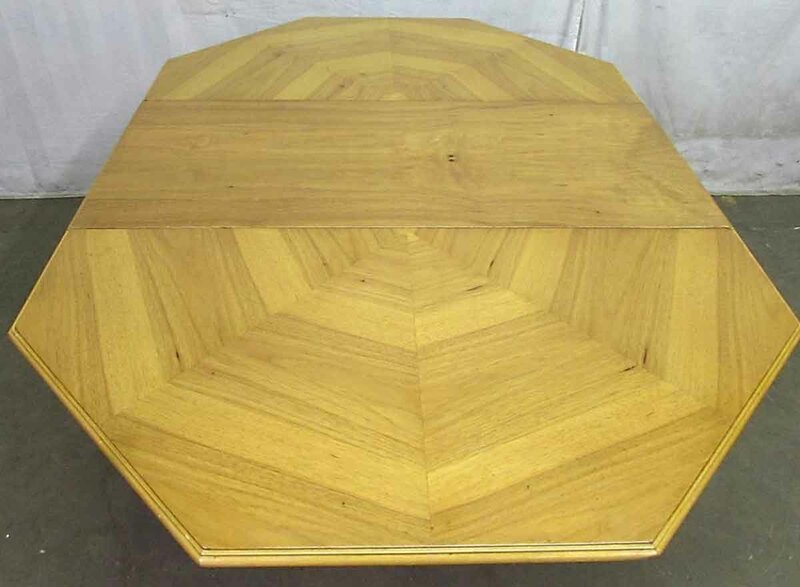 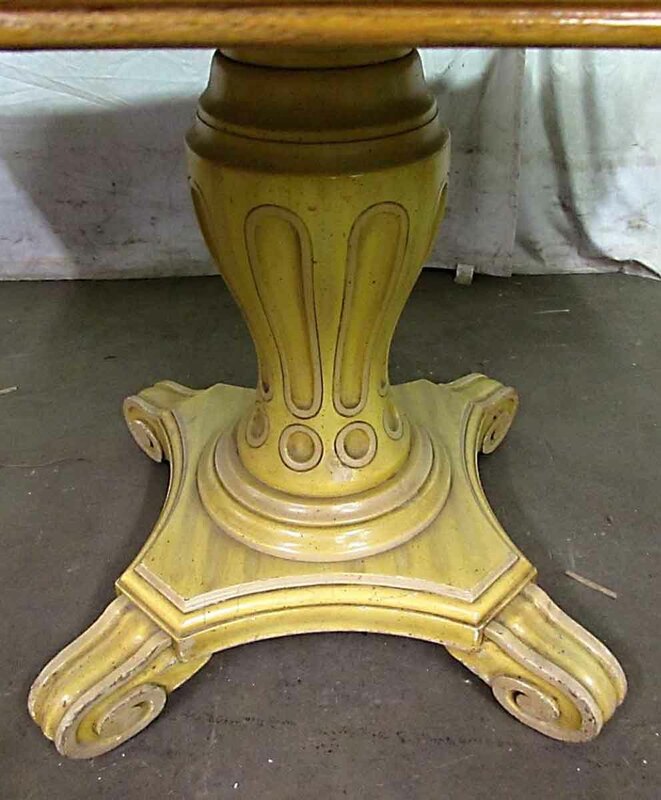 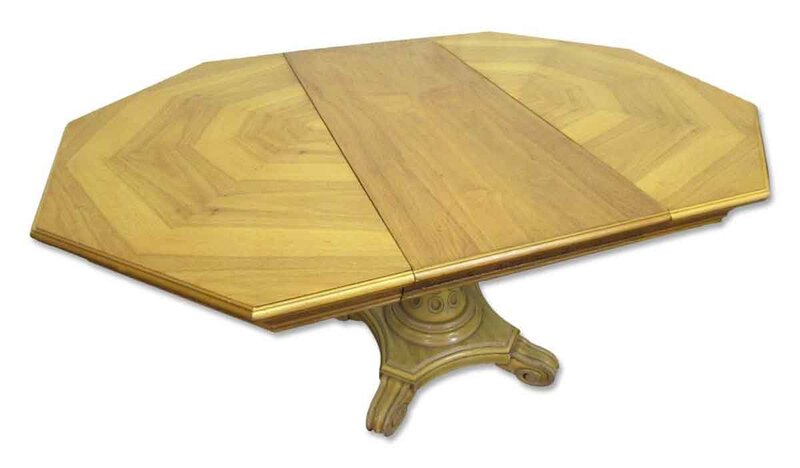 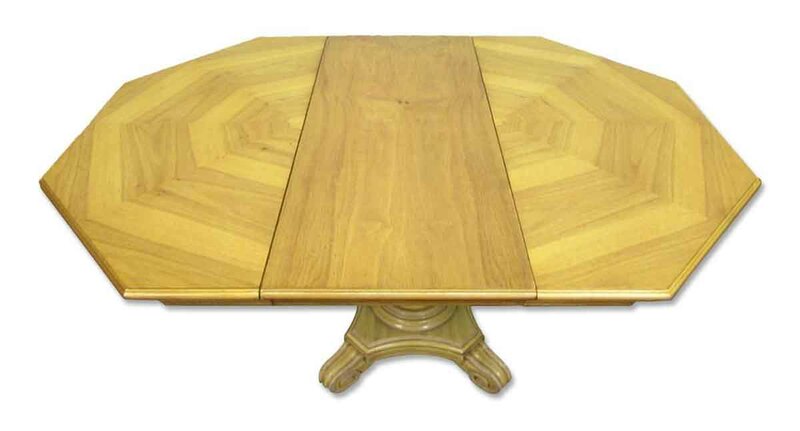 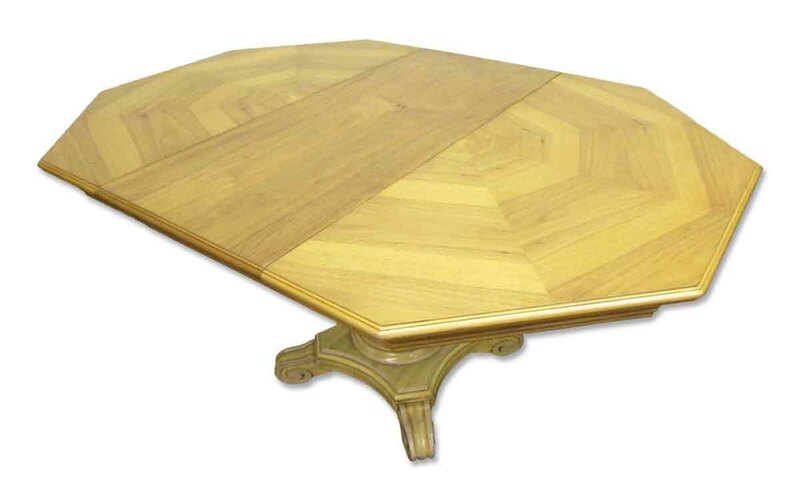 This is a two tone solid light stain octagon shaped Mid century table. 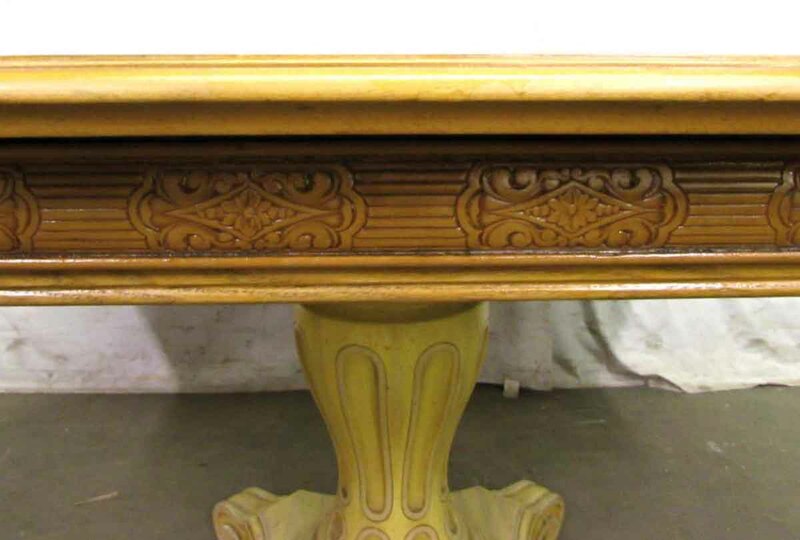 The top has a non matching expanding leaf as well. 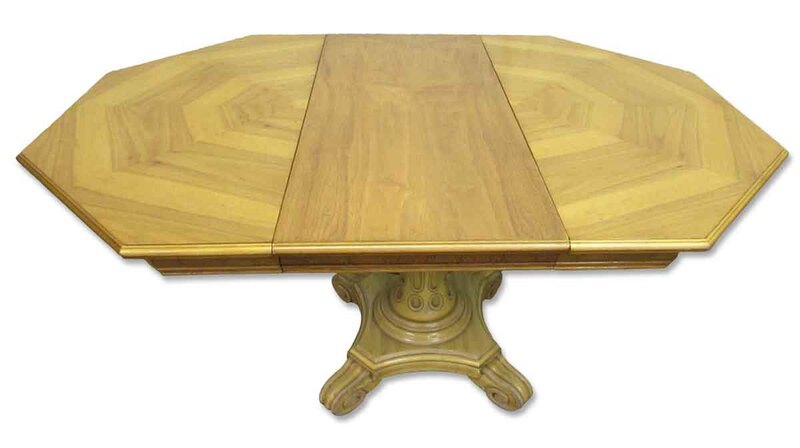 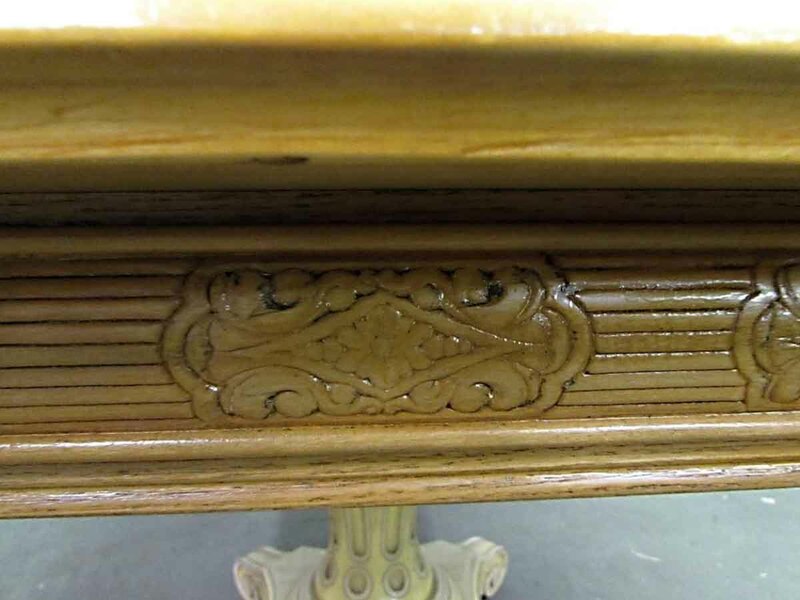 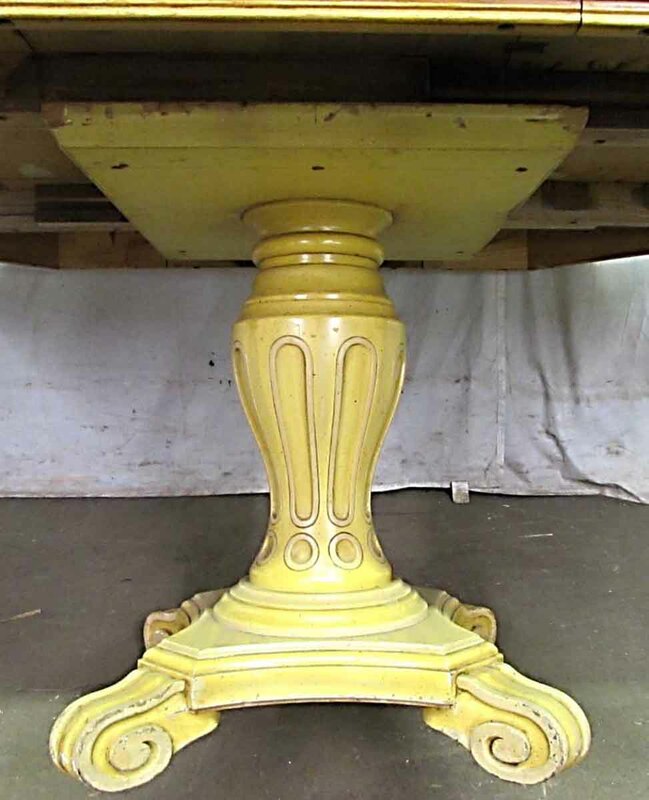 The edges of this table are carved with a design and the base is a four leg carved wood design as well.